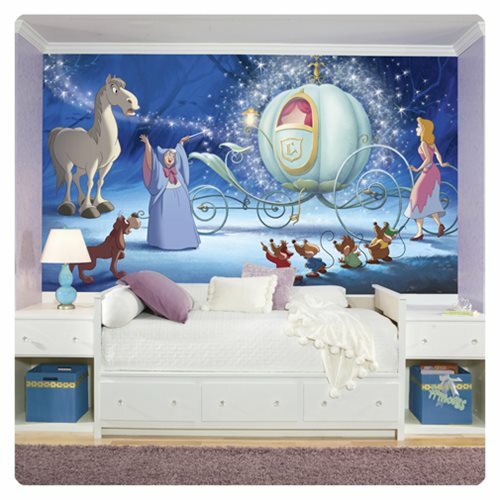 Bring your child's imagination to life with this Cinderella Carriage XL Wallpaper Mural by RoomMates! An affordable way to bring the Disney Cinderella fairytale to life on your little one's wall, transform a room in minutes with the easy installation process. Just activate each of the seven panels with water and apply them side-by-side on any smooth, flat surface! Decal measures 10 1/2-feet wide x 6-feet tall when complete.